Without doubt, Thailand is one of the world’s most enchanting holiday destinations, marked by the fact that the same visitors grace it over and over again. The reason? Soft white palm-scattered beaches lapped by a warm turquoise sea; a clear blue ocean home to colourful coral reefs and a vivacity of mesmerising marine life; lush northern hills and mountains ripe for exploring outdoors; fabulous temples both old and new; some of Asia’s most exuberant festivals; and of course, the country’s fresh-as-you-like feisty cuisine. Boasting something for everyone, Thailand offers bags of appeal. 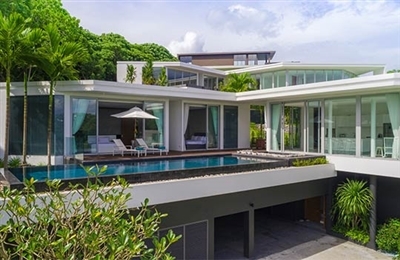 It’s of little surprise that most of Thailand’s villas are concentrated in the sunny wave-lapped isles of Phuket and Koh Samui. 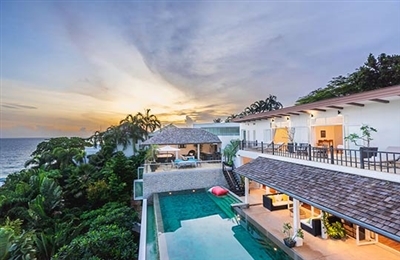 Phuket rose meteorically to fame some years back and now has an international airport, restaurants run by celebrity chefs, world-class golf courses and a cosmopolitan grandeur that have made it a synonym for The Tropical Good Life around the planet. 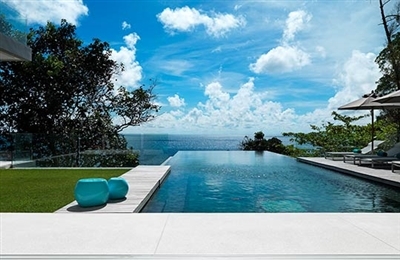 Samui is subtler in its endeavours but its natural topography and raw beauty make it an unforgettable holiday isle. Cultural Chiang Mai, in the north, is completely different yet again; rugged hills carpeted in lush jungle beg you to seek out its treasures on foot, or better still, atop an elephant’s back. Thailand's variable geography is mirrored by its climate, which is very much affected by the monsoons. Both Phuket and Samui are generally rain-free from late December to April whilst the rainy season is June through November. The cool season (November – February) is one of the best times to visit. March to May sees the temperature reach the mid-30s.